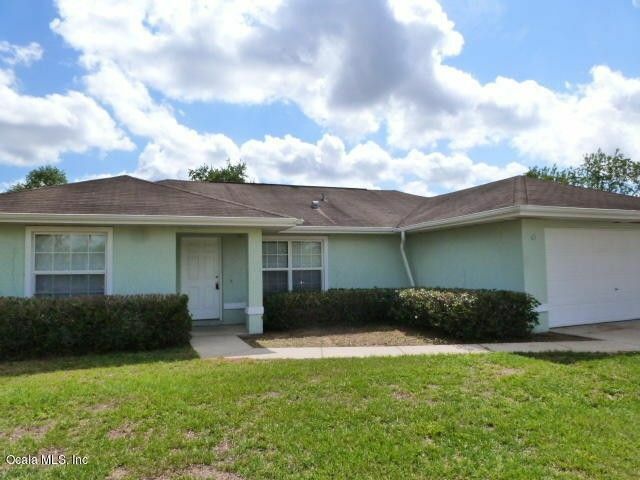 Freshly painted 3/2/2 with open floor plan, cathedral ceilings, split bedroom set up. You will enjoy the big living area with separated breakfast nook. Inside laundry & Blinds throughout. Easy commute to Ocala, Belleview, Summerfield and The Villages. Close to parks and playgrounds. Directions: Maricamp Rd East to CR 35 (Baseline rd(. Turn South to Juniper Rd. TR to Aspen Rd. TR to last house on right in cul de sac.